A multi use public space to be sited on a sloped site. 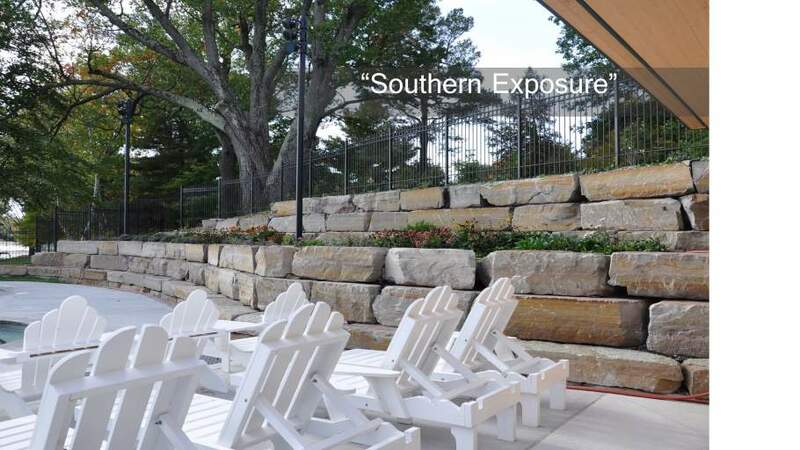 Working in conjunction with a talented architecture firm we were able to manipulate the steep terrain to create natural bench seating, raised planting areas and steps connecting key areas of this resort setting. Photo permission by The Opinicon Resort.